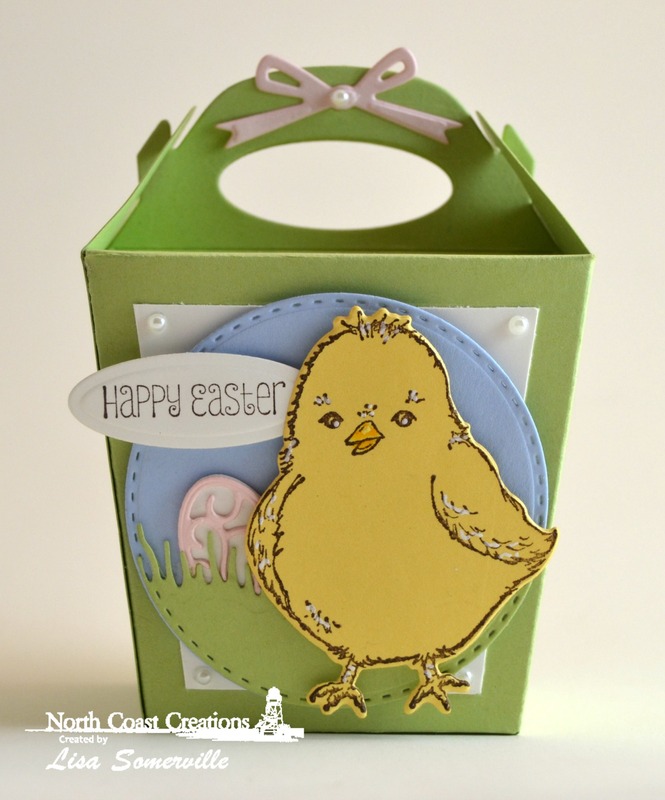 Designs by Lisa Somerville: Hey, Chickie! This month, North Coast Creations is releasing Easter stamps and coordinating die for the mini set! 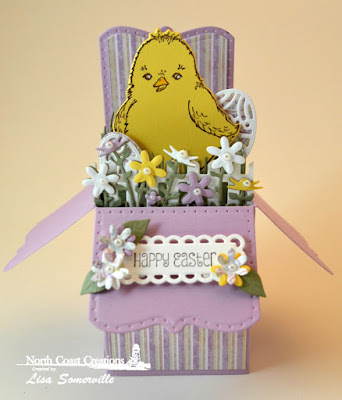 I thought the Hey Chickie set would be perfect to use along with some of Our Daily Bread Designs 3D Dies, since the Chick image has a coordinating die! Before I share the details of my projects, I wanted to let you know that you can receive FREE Shipping on Our Daily Bread Designs Website through March 1, 2017, 11:00 PM EST. (Free shipping is for US Retail Customers Only. Free Shipping details can be found HERE. My first project is a cute treat box using the Hey Chickie Stamp set and Chick Die along with Our Daily Bread Designs Glorious Gable Box Die. Please see my complete product list below. My next project also uses the same stamps and die, but this time I used Our Daily Bread Designs Surprise Box Die, embellishing with additional ODBD Dies and paper collections! The stamped label panel on my Surprise Box is one of the dies from Our Daily Bread Design Circle Scalloped Rectangles die set that is being released tomorrow, March 1, 2017! Lisa, those are super adorable box and pop up box card. LOVE LOVE LOVE them!